A Bill of Quantities (BQ, or BoQ … and sometimes referred to as a Bills of Quantities) is prepared by Quantity Surveyors to provide an extensive and itemised trade list (including a description & quantity) of each of the components or items required for a construction project. In Australia the format and content are generally based on the Australian Standard Method of Measurement (ASMM). The ASMM has been prepared in agreement between The Australian Institute of Quantity Surveyors and The Master Builders – Construction and Housing Association Australia Inc. The main purpose of a Bill of Quantities is to itemise and define a project so that all tenderers are preparing their price and submission on the same information. A BQ helps to eliminate the ‘guesswork’ and also minimise discrepancies in the tender documents. When preparing and measuring a BQ, the Quantity Surveyor needs to “build the building” almost in its entirety on “paper” before the real bricks’n’mortar construction starts. Discrepancies in the documents (i.e. the drawings stating one thing and the specification asking for another) are greatly reduced as documents across all disciplines are checked. And it also provides a basis for project cost analysis, so that future cost planning efforts have reliable information to refer to. 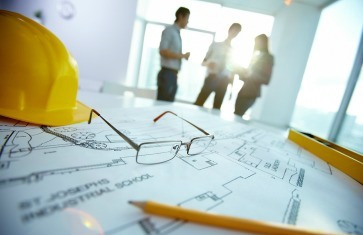 Hint: A Bill of Quantities can only be as good, & accurate, as the documents it is based on. Incomplete drawings & schedules and performance-based specifications do not form a good basis for a useful and comprehensive BQ. Sufficient time must be set aside in the design and documentation schedule, and before tendering, for the preparation of the BQ, which will take several weeks – the BQ is best based on complete documentation … And it really is not helpful for the consultants to be using this measurement period as a chance to finish-off incomplete documents (or even start new ones), which then need to be re-issued to the Quantity Surveyor for re-measurement and inclusion into the BQ. Note: If a BQ is prepared in the correct and agreed format, they may sometimes form part of the Contract – that is, they become a contract document. And so the Contract Sum can be adjusted against the items, quantities, descriptions and rates included within it if needed.